It is a condition that, prior to awarding a Foundation place to a junior, that the Parent/Guardian accepts the conditions and procedures outlined in this document. Please download the PDF Application Form . Must not be in receipt of any other golf scholarship. Will normally leave the scheme on the 1st of February following their 19th Birthday. Must only have individual lessons provided by The Calcot Park Professionals (County and National Coaching is permitted). 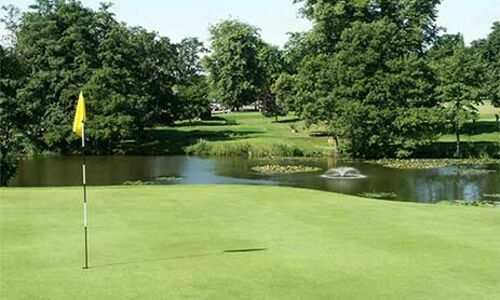 Calcot Park Golf Club must be your Home Club and will have preference in terms of Club representation. Must reasonably attend all coaching/training sessions and enter in to all appropriate competitions and club matches, if selected. Will become a full participating Junior Club Member of Calcot Park Golf Club, and will endeavour to meet all agreed annual Targets. Must accept and adhere to all Junior Club Rules and The Club Rules and Regulations. There will be an annual review with your Parent/Guardian present where your performance and attendance of all Foundation Members will be reviewed and goals set for the forthcoming year. Providing these reviews are satisfactory, membership of the Foundation will continue. In the event that a Foundation Member falls below the required standard, the Member will be warned and, if acceptable improvement is not forthcoming, membership of the Foundation may be withdrawn. 6 x 45 minute sessions, working on all aspects of the game. Detailed putting analysis with the use of our ‘ZENIO’ putting software. This equipment highlights the most minute of ailments within the putting stroke and allows us to show you exact areas of improvement required. A GC2 ‘Gap Yardage Session’ with results sent to you via PDF so you can truly know how far each club travels. Equipment MOT and Custom Fitting. 9 Hole ‘on Course’ post-programme strategy session. A member is expected to pay his/her competition fees and purchase all the necessary and appropriate sports equipment and attire. Representative team attire and fees are included. The selection decision of the Foundation Committee is confidential and final. The Parent/ Guardian is free to contact the Foundation Committee at any time.